The National Association of Local Councils (NALC) has announced a new partnership with the Foundation for Integrated Transport (FIT) to help local (parish and town) councils develop business plans for transport social enterprises that have a chance of being financially self-sustaining. The partnership with FIT will seek expressions of interest from local councils for funding to help them develop community-led transport services. NALC and FIT will set out the kinds of services envisaged, bringing together interested local councils in early 2019, with the most promising projects receiving funding to develop business plans. The partnership was announced at the inaugural Transport Planning Society’s People’s Awards which showcases transport planning initiatives in the UK that have made a significant difference to local people. 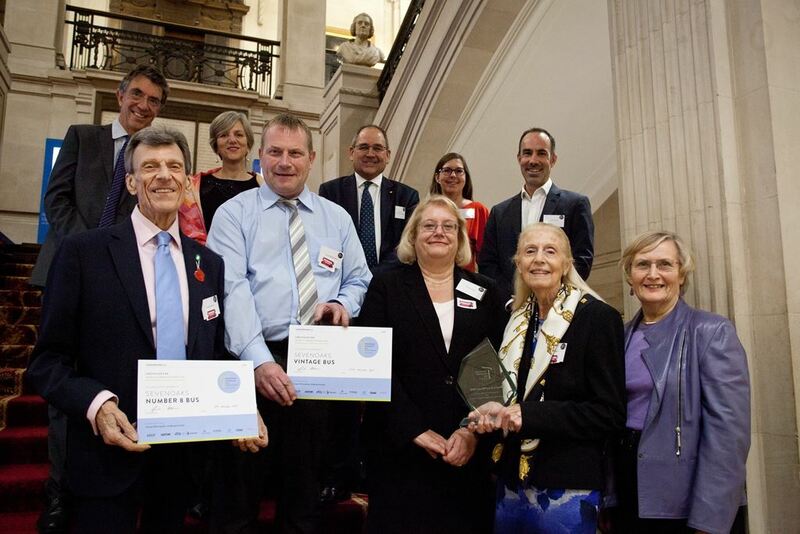 Sevenoaks Town Council were crowned the winner for their Town Partnership Vintage Bus Service and their Route 8 Bus Service which have been chosen as best reflecting what local people really want from transport schemes. Both services have proved vital, helping to connect communities in the area and boosting the local economy by attracting hundreds of more visitors to the businesses in the town centre and to a leading National Trust property at Knole. “I’m also thrilled for Sevenoaks Town Council and delighted to see their ambitious, visionary and innovative approach to supporting the local community recognised by winning this prestigious national award. Reductions in bus services have left many communities without good transport links leading to a growing number of local councils stepping in to develop their own transport services, such as in Sevenoaks. They are a fantastic example of how to run a community-led transport scheme and I hope to see many more councils follow their example."